Life on a healing diet means preparing most – if not all – of your own food. So, that’s a lotta cooking! Anything that saves us time and makes the process more efficient is a lifesaver. It’s also an important part of being able to stick with a healing diet. 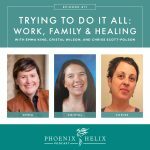 In this podcast episode, I have 3 wonderful guests. Together we’ll be sharing our best tips for making the most food in the least amount of time, without sacrificing nutrition or flavor. Take the stress out of Thanksgiving by getting your meal delivered. They have two choices: Paleo and AIP. You can place your order any time between now and November 22. 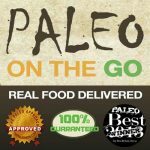 If you aren't familiar with POTG, they're a frozen meal delivery service, with a large menu of items for the paleo autoimmune protocol (AIP). I take the meals with me on vacation, and keep a stash in the freezer for emergencies. Read my detailed review here. If you've never placed an order with them before, use the coupon code PHOENIX for 10% off your first order. Alex Raver is the blogger behind Don't Eat the Spatula. She follows the paleo autoimmune protocol (AIP) to manage PCOS. She was hospitalized at age 19 while studying abroad in France. She needed emergency surgery to remove an infected cyst, and this led to her diagnosis. However, she had been having symptoms for years, including unexplained weight gain, skin discoloration, and painful menstrual cycles. She was put on hormone medication which unfortunately made her symptoms worse. She was also told she would never be able to conceive a child, because infertility is common with PCOS. At age 29, she began eating AIP and working with a functional medicine practitioner to balance her hormones. 9 months later, she got pregnant and has a beautiful baby girl. In addition to diet, stress management has been essential to keeping her hormones and her health in balance. Andrea Wyckoff is the blogger behind Forest and Fauna. She used a low-starch paleo diet to put ankylosing spondylitis (AS) and colitis into remission. She suffered from back pain throughout her teens and early 20's and in spite of seeing numerous specialists, was never accurately diagnosed. She took NSAIDs daily to manage the pain, and at age 28 she developed severe colitis. This led to rapid weight loss and the inability to work. Doctors brushed it off as IBS. It wasn't until her chiropractor took x-rays and noticed that her spinal bones had fused together through a large portion of her spine that she was finally diagnosed with AS at age 30. She had lost 3 inches in height during those years she was undiagnosed. This was before paleo was well-known, but she did some research and pieced together a healing diet very similar to paleo. She gave up wheat, dairy, soy and corn first, and eventually starches once she learned they are specifically connected to the AS diagnosis. Her colitis went away altogether, and her AS went into remission, preventing the damage from progressing to her neck. After being on this healing diet for 10 years, she succeeded in reintroducing many foods just this past year, including starches and gluten-free grains. Her biggest flare triggers (and the foods she continues to avoid) are nightshades, soy, and cow dairy. She's also choosing not to reintroduce gluten. Bethany Tapp is the blogger behind Adventures in Partaking. She follows the AIP to manage spondylarthritis, uveitis and endometriosis. Bethany's symptoms also started in her teens. She experienced chronic lower back pain and excruciating pain with her menstrual cycle. She also took high doses of NSAIDs to manage the pain. Doctors told her it was all in her head, that she was just experiencing growing pains. The pain continued into her 20's, with some months being worse than others. At age 33, she had surgery for an ovarian cyst and they found endometriosis. That was her first diagnosis. She was put on medication but had a negative reaction, so she searched for a dietary solution. She gave up gluten, dairy, soy, sugar and meat, and her endometriosis symptoms disappeared completely. However, her energy levels plummeted, her back pain returned, and she developed a new symptom – excruciating eye pain. An ophthalmologist diagnosed her with uveitis and referred her to a rheumatologist, who eventually diagnosed her with spondylarthritis. This is similar to AS, but without the spinal fusion. When the rheumatologist recommended immunosuppressants, Bethany started the AIP instead. This meant adding meat back into her diet and removing all grains. She responded so well to the diet that she was able to go off her painkillers and avoid immunosuppressants altogether. She has also found two other things essential to her wellness: getting 8-9 hours of sleep each night, and exercising in a way that feels good to her body. What Is It? This is a technique where you prepare a lot of meals in a short period of time, and you can eat them throughout the week or freeze them for later use. The simplest method of batch cooking is simply to double or triple whatever you’re cooking. For example, if you’re going to roast a chicken, roast two of them. If you’re roasting vegetables, roast as many pans as will fit on both racks in your oven, rotating them halfway-through. If you’re making sausage patties, make anywhere from 2 to 5 pounds at once. You can store them in the freezer separated by parchment paper, and cook them as you need them. Bethany: When she was a nanny for a family with 5 children, she and the mother of the family did “once-a-month” meal preparation. They took one Saturday to meal plan, choosing the recipes and coming up with a complete grocery list for all the meals, along with a work chart for batch cooking day. Then on another Saturday, they would start early in the morning and slowly stock the freezer. They prepared pre-cooked meats and pre-chopped vegetables that could be used in many meals, as well as labeled bags of complete meal ingredients for quick skillet meals, soups & stews, slow cooker meals, as well as prepared casseroles that only needed to be popped into the oven later in the month. Resource: Bethany's Batch Cookbook Tips and Recipe Roundup. Alex: Since she has histamine intolerance, she batch cooks in special ways. Rather than eating leftovers throughout the week, she'll freeze the extra portions immediately after cooking, which halts the histamine development. She also loves to batch cook and freeze vegetable soup as a base. Then, she can defrost the soup later and add meat and more vegetables for a complete meal. Two of her favorite soup recipes are this Creamy Mushroom Soup, and also the Golden Beet and Caramelized Leek Soup in the new Paleo AIP Instant Pot Cookbook. Andrea: She likes to batch prep vegetables for salad and also prepare dressings, sauces and condiments in advance, so she has a wide variety of flavors at her fingertips. 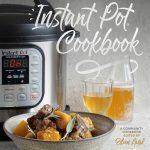 Some of her favorites are Green Goddess Dressing, No-Peanut Sauce, Kale Pesto, and the Cranberry BBQ Sauce in the new Paleo AIP Instant Pot Cookbook. She also likes to batch cook and freeze breakfast foods, to save time in the mornings. She keeps a stash of bone broth and comforting soup in the freezer for days when she's not feeling well. And since she's reintroduced white rice back into her diet, she batch cooks that as well. One more way Andrea saves time is by bulk buying directly from farmers, so she doesn't need to go to the grocery store as often. Eileen: She also loves batch prepping all of her vegetables for the week on farmers market day, and she uses Fridgesmart Containers to keep the vegetables fresh in the fridge for a much longer period of time. And her favorite batch cook breakfast is this Homemade Chicken Soup. AIP Batch Cook – a video tutorial which includes recipes and meal plans. This is great for beginners. The Healing Kitchen Cookbook – contains two weeks of batch cooking meal plans using the recipes in the cookbook. What Is it? The Instant Pot is 7 appliances in one: a pressure cooker, a slow cooker, a rice cooker, a yogurt maker, a steamer, a warmer, and it even has a sauté function allowing for one-pot meals. It's most famous for its pressure cooker function, and that's what we're talking about on the podcast today. The Paleo AIP Instant Pot Cookbook has taken Instagram by storm this week. I (Eileen) am the editor of the e-cookbook, and I invited 36 bloggers to submit recipes. Together, we came up with 141 recipes including Broths, Sauces, Condiments, Vegetables, Poulty, Meat, Seafood, Organ Meat, Dessert, and Extras. If you have an Instant Pot, your world just got a little better. If you don't have one yet, you might want to add it to your wish list. Bone Broth: Many of us fell in love with the Instant Pot for bone broth alone. You can make 24 hour gut-healing bone broth in just 2 hours. Andrea: Eileen loved Andrea's recipe for Instant Pot Swedish Meatballs with Mushroom Gravy so much that she chose it as a preview recipe for the cookbook. One of the things Andrea loves most about the Instant Pot is the stainless steel insert. It's easy to clean, lightweight, and small enough to store in the fridge.They even sell a silicone lid to keep your leftovers airtight. She cooks in her IP about 5 times a week, sometimes twice a day. Andrea also loves that when your meal has finished cooking, you don't have to get up and deal with it right away. The machine will switch to a “keep warm” setting, naturally depressurize, and stay warm for up to 10 hours. Alex: Since she has histamine intolerance, she does better with fast-cooked rather than slow-cooked food. So, she loves the pressure cooker function of the Instant Pot. She doesn't do well with 24-hour bone broth, but her body loves pressure-cooked bone broth. When she started experimenting with the IP, the first recipe she created came out great: Easy Healing Chicken & Vegetable Soup. For her family, the Instant Pot is a weeknight savior, because it cooks meals so quickly. It even cooks frozen meat in the same amount of time as thawed meat. It just takes a little longer to come to pressure. Alex also loves cooking Spaghetti Squash in the Instant Pot, because it saves so much time and precious oven space on batch cooking day. In fact, she recommends doing batch cooking with your Instant Pot and leaving your oven off altogether. One of her favorite recipes for this is Fall Off the Bone Whole Chicken. 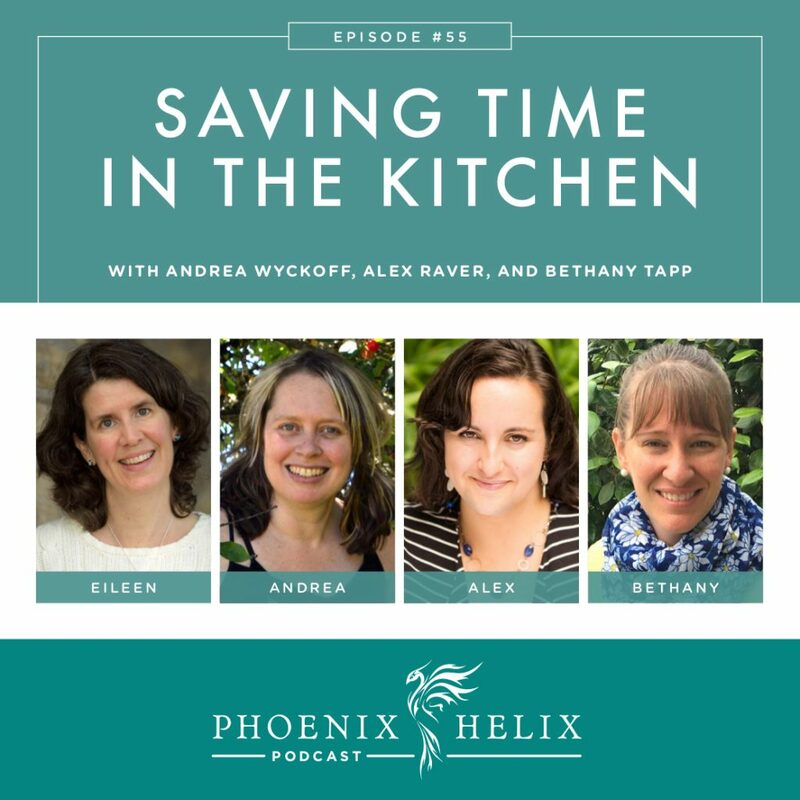 Bethany: She lives in Dubai where the Instant Pot isn't available, so she has been adapting Instant Pot recipes to her stovetop pressure cooker. She finds that the recipes translate really well. You just need to know how your brand of pressure cooker works and adapt accordingly. Resource: Translating Instant Pot Pressure Cooking. If you want to sample one of Bethany's recipes, check out her Lamb and Apricot Curry. Eileen: Tip: If you cook in your Instant Pot back-to-back, always remove the sealing ring between recipes and dry both the ring and the lid completely. Otherwise, it might interfere with your pot's ability to build up and maintain pressure. Shoutout to Laura Vein who did the interior design, Kate Jay who photographed the cover, and Chelsey Luther who designed the cover. Laura was living in South Texas when we were working on this cookbook, and one of her favorite features of the Instant Pot is that it doesn't heat up the kitchen, which is especially nice in warm climates. Slow cookers aren't fast, but they are easy. They let you prep your dinner in the morning and it cooks while you're away, with no need to watch over the meal. I have a Slow Cooker Recipe Roundup with 50 Paleo AIP recipes. The Instant Pot also has a Slow Cooker function, which we love. Tip: on the Instant Pot, the default setting for Slow Cook is “Normal”. This is equal to “Low” on a traditional slow cooker. “More” is equal to “High” on a traditional slow cooker. Don't ever use the “Less” setting on the Instant Pot when you slow cook, or it will take 12-24 hours to cook your meal. 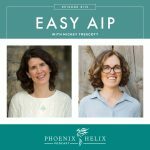 Bethany blogs at Adventures in Partaking, and she's also written an e-book with travel tips and recipes for the paleo autoimmune protocol, called AIP Safari. Andrea blogs at Forest and Fauna. Alex blogs at Don't Eat the Spatula.